We've all seen birds that are angry, now it's time for fish to let out some rage. 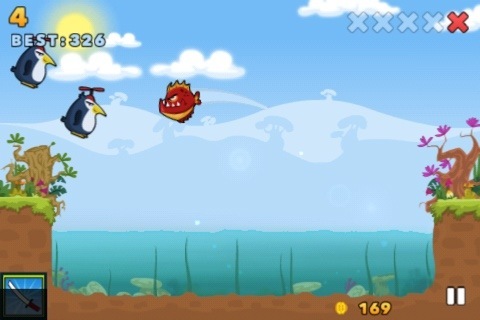 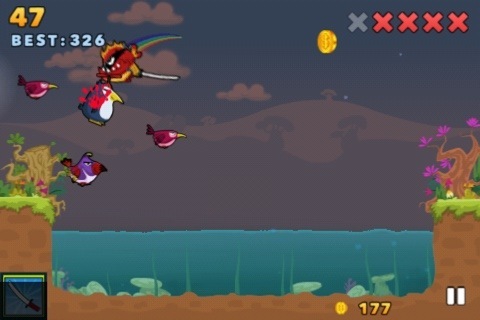 In Fish Fury you are a mighty piranha fish who likes to eat birds. Your simple goal in this game is to not let the birds get from the left side to the screen to the right. 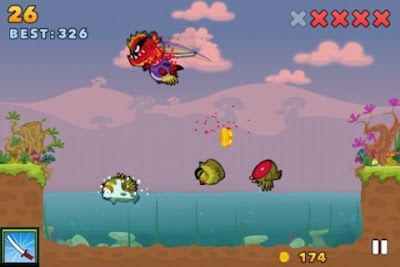 You stop them by jumping up in the air, biting the flying birds, and then when they fall shocked into the water, you need to gobble them up before they manage to escape and fly away. 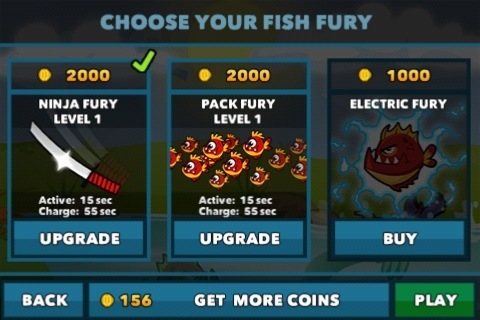 If you manage to hold on long enough you earn "Fish Fury" which are different power ups that help you slay those poor birds. The fish fury is really fun to use as you soar through the air just slashing away at flying birds (the default fish fury is a samurai sword, you can upgrade to a chainsaw, a school of small piranha fish that help you, fire fury, or electric fury). 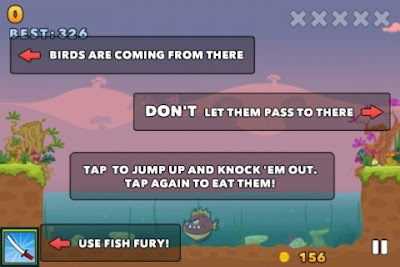 As you eat more birds you can earn more coins which can then be used to open up new worlds and to get upgrades to your fury. 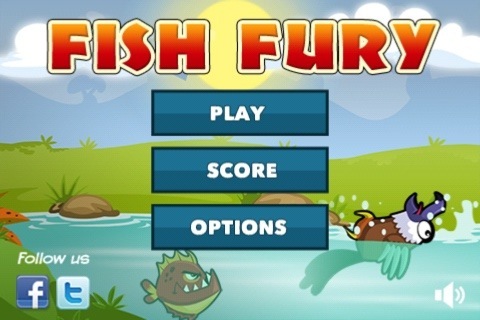 The graphics and sound of Fish Fury are solid and the gameplay is fun and concise, a great fit for a mobile game. Fish Fury is currently free and you can purchase additional coins in the game using in-app, in order to progress faster.